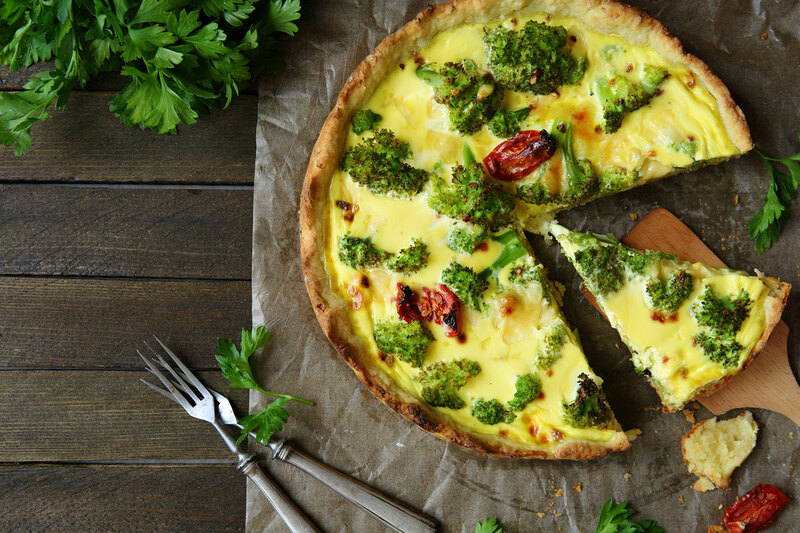 #RecipeOfTheDay: Frittata, an egg-based Italian dish similar to an omelette or crustless quiche. Frittata – the Italian word that translates into “fried” – is an egg-based Italian dish similar to an omelette or crustless quiche, which is enriched with additional ingredients such as meats, cheeses, vegetables or pasta. A well-made frittata is one of the world’s most perfect foods, equally delicious at breakfast, lunch, and dinner. Some people think the frittata is a less pretentious cousin of the French omelette, but it turns out to be that it is often heartier, healthier and more satisfying than its famous cousin. And the frittata can become one of your favorite things because you can throw together anything you need to use. It is most often a breakfast item in the United States but can be eaten for any meal, either hot or cold. One interesting thing about Frittata is that you won’t find it on many menus in Italy according to the website Dellalo. In Italy a frittata is a common way to use up leftovers – usually it is made from the pasta (dressed or undressed) or the vegetable contorno (side dish of vegetables) from the night before, much like the English dish bubble and squeak made with shallow-fried left-over vegetables. In Italy, it is usually placed between slices of bread and eaten as a panino (stuffed rolls or rustic shaped sandwich) or as a snack (spuntino). As the frittata is made on the spur of the moment: a last-minute decision made when you don’t have the time to go grocery shopping and the refrigerator seems bare, we have an easy recipe for you today. Garlic and mushrooms bring great flavor to this super-low-calorie, easy-to-make frittata. Serve with salad for a simple and delicious lunch. As part of an intermittent diet plan, 1 serving provides 3 of your 6 daily vegetable portions. This meal provides 243 cal per portion. Spray a small, flame-proof frying pan with oil and place over a high heat. (The base of the pan shouldn’t be wider than about 18cm/7in.) Stir-fry the mushrooms in three batches for 2-3 minutes, or until softened and lightly browned. Tip the cooked mushrooms into a sieve over a bowl to catch any juices – you don’t want the mushrooms to become soggy. Return all the mushrooms to the pan and stir in the garlic and chives, and a pinch of ground black pepper. Cook for a further minute, then reduce the heat to low. Preheat the grill to its hottest setting. Pour the eggs over the mushrooms. Cook for five minutes, or until almost set. Place the pan under the grill for 3-4 minutes, or until set. Remove from the grill and loosen the sides of the frittata with a round-bladed knife.Turn out onto a board and cut into wedges. Top with broccoli and serve hot or cold with the salad.